The bench also for the time being did not agree to the demand for referring the entry ban issue to a five judge constitution bench. But Justice Dipak Misra heading the bench said in future if substantial questions of constitutional importance arises, “it may consider doing so". “You cannot deny entry of women based on traditions which are against the principles of the Constitution" said the three-Judge bench headed by Justice Dipak Misra. The bench also questioned whether a physiological phenomenon (menstruation) can be a guiding factor for denying women entry in the temple? Jaising, arguing for NGO 'Happy to Bleed', submitted that women are part of the Hindu community and hence cannot be denied the right to pray in a public temple and moreover, that right is guaranteed under Article 25 of the Constitution. In Hindu religion, there is no denomination of a Hindu male or female. 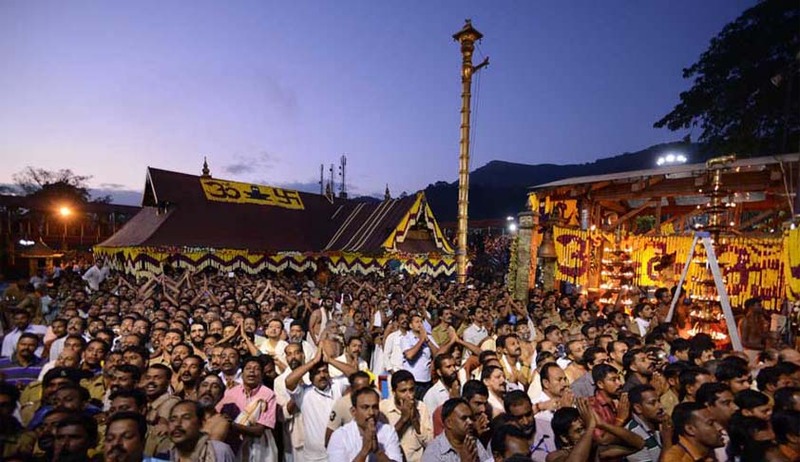 A Hindu is a Hindu, the bench said, adding that it would not deal with the customary belief that the bar on entry of women is in place to maintain purity of Lord Ayyappa deity. Jaising said that women cannot be subjected to differential treatment. The apex court reiterated that it would decide on the right of women to enter the temple on the basis of constitutional principles. The hearing in the case would resume on April 18.